Music Series: Franklin Street Traditional Jazz Band — Official site for Southern Village, Events, Dining, Movies and more. 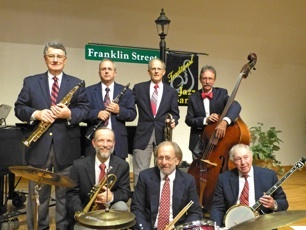 The Franklin Street Traditional Jazz Band comes back for a A Southern Summer. Come out to the Village Green to enjoy a performance from some of our favorites!